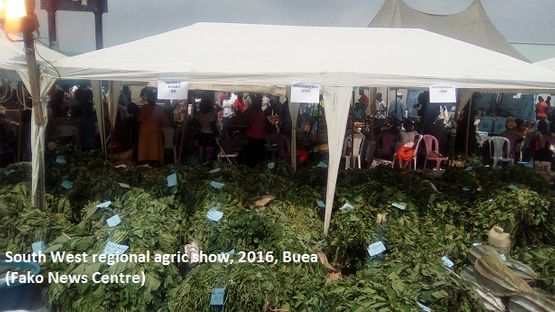 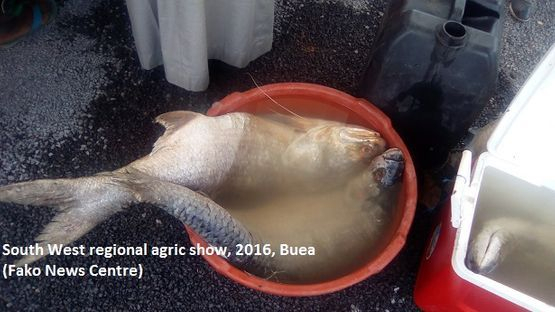 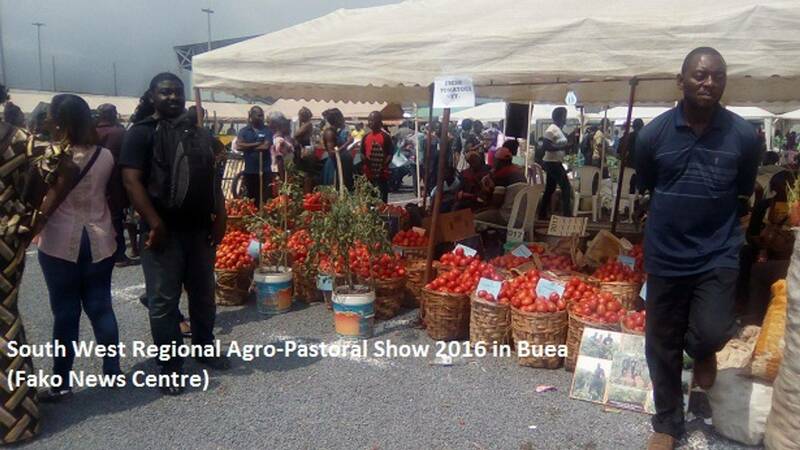 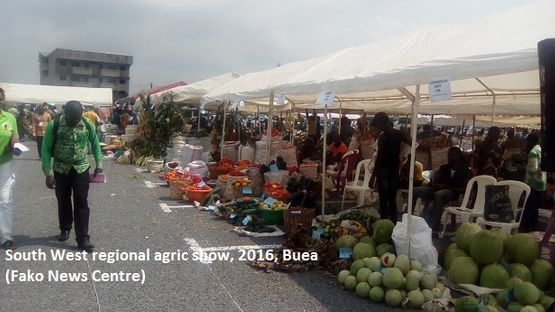 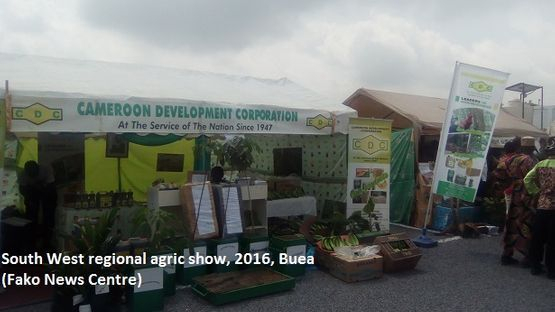 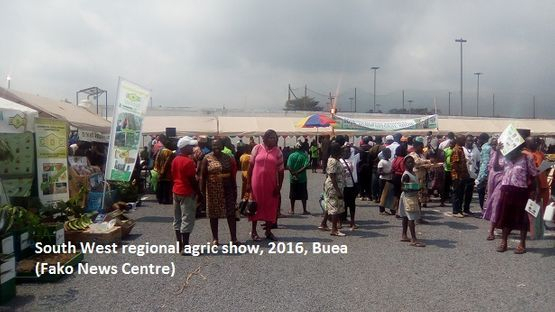 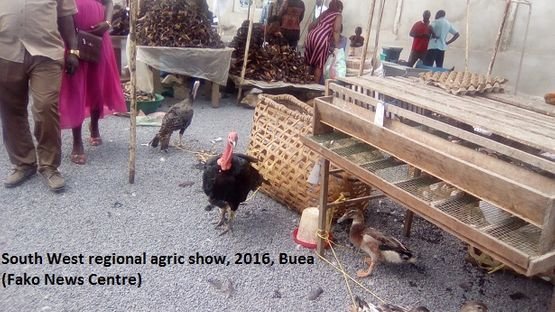 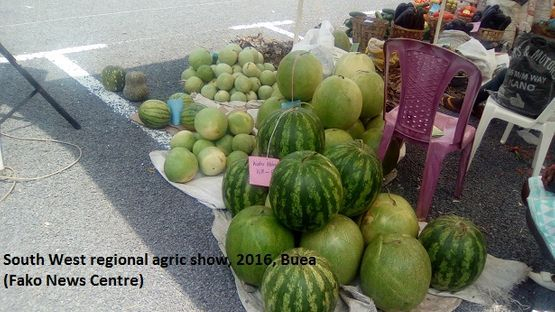 The farmers and livestock breeders who are attending the 2016 Regional Agro-pastoral Show that started on Tuesday December 20, 2016, have brought the best of their products to this show. 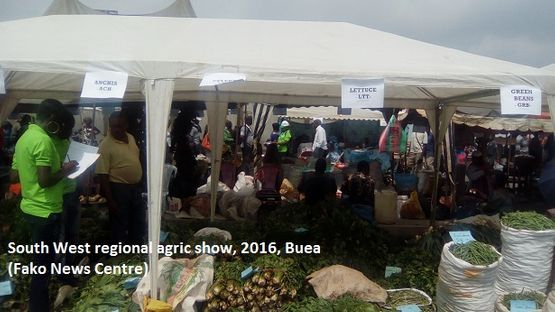 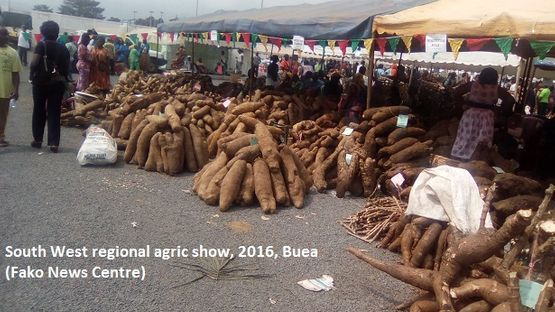 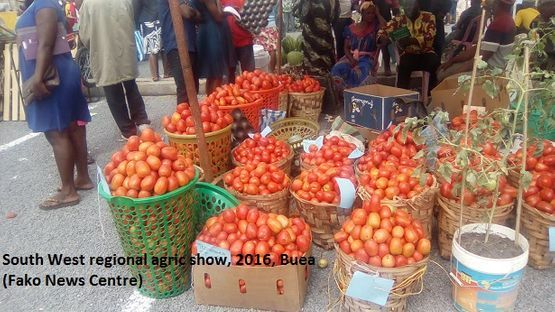 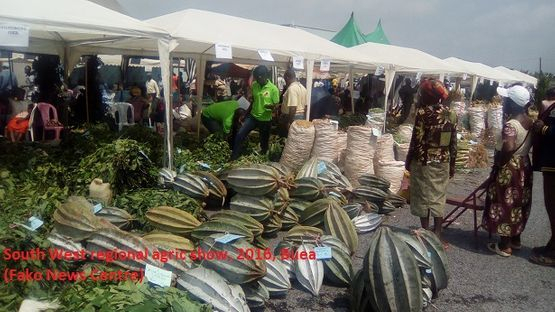 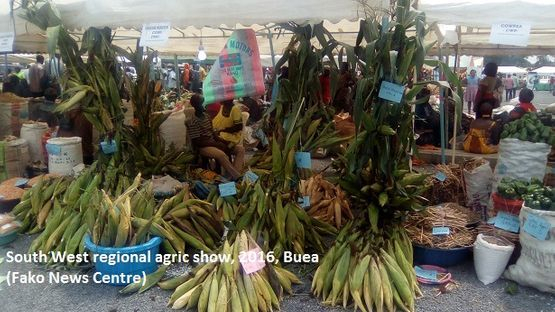 Inhabitants in and around Buea are now storming the show to buy yams, plantains, palm oil, vegetables, goats, chicken, snails, fish and a variety of other food stuff and fruits needed during this festive season. 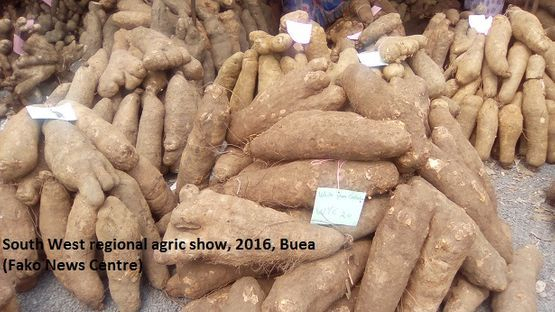 The quantity and quality of food stuff from the slopes of lebialem, Manyu, Kupe-Muanenguba, Ndian, through Meme to Fako Division is a show and proof of the hard work of the people and the fertility of the soils in the South West Region of Cameroon.